We loved the bold eye liner we saw at Moschino Cheap & Chic spring 2013 show. Right now, I can’t wait to recreate the look using a deeper, fall-appropriate color palette. 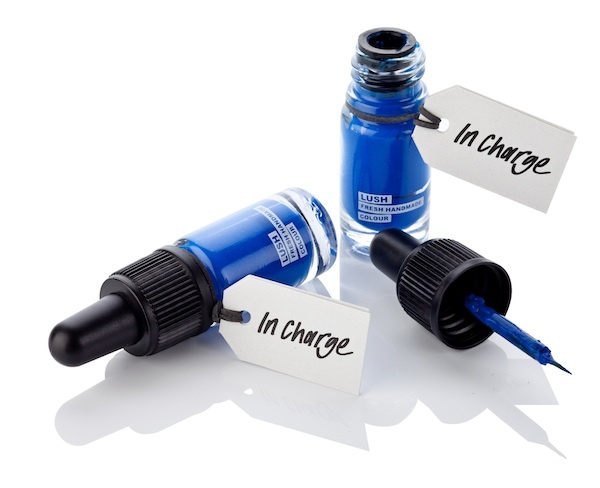 Luckily, I found the perfect shade: Lush has a new liquid eye liner, In Charge ($22.95, Lush.com) — a deep royal blue that makes any colored peepers pop. And the super thin brush makes drawing a precise line easy. About the only time I’m willing to commit to a bold color like this is for a night out on the town. But what I love about this product’s application is that it glides on smoothly and is perfect for blending with other colors to tone it down a bit. I can add just a dab of gray eye shadow on top, blend and the blue is noticeably less vibrant. Would you try a royal blue liner?